Volunteering is one of my favorite things to do. I cannot begin to explain how fun and rewarding it is to help impact the lives of others for the better. 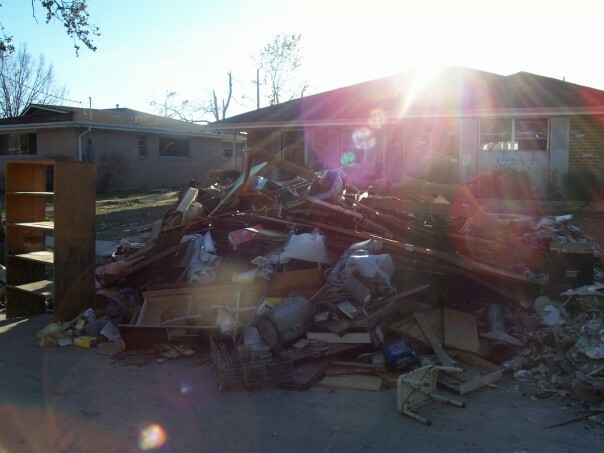 My first major volunteer opportunity was for the Hurricane Katrina relief efforts for New Orleans.The people there had lost so much, but they were still full of joy and hope. It helped me see things that I thought were arduous in my life in a different light. Helping people who are less fortunate helps put things in perspective, or if anything makes you feel really good. So how do you jump in? Find a place to volunteer through a volunteer matching service– Volunteermatch.org is a great website where you can enter the skills you have to offer and your zip code to find opportunities near you. However, these opportunities may require a commitment to the organization featured. Other sites allow you to sign up for volunteer events, specifically, with no commitment. Places of worship– Almost any church (not sure about synagogues, mosques, etc.) will have a ministry that serves the community. Find an opportunity that interests you and jump in. My church has an event on the 2nd saturday of each month for a couple of hours where you can go out with a group of people to do anything from feeding the homeless to cleaning up a river with no commitment to the organizations we partner with that month. Last month, I went to clean up a nearby river that is incredibly filthy. It didn’t seem like we were doing much in that short amount of time to clean it up, but I’m sure that the little bit we did clean up will make a huge difference for the wildlife and organisms that depend on the river for life. Don’t have time– If your way too busy to give up a couple of hours of your time. That’s ok! There are tons of causes that need donations to operate. I found a website much like Groupon or Living Social where you don’t buy massage or movie ticket deals, but you donate $1 (no more, no less) to a nonprofit that’s featured as the “daily deal”. For more information, visit the website here . What have you volunteered for in the past and how has it impacted you?